Copeland has partnered up with Spotify to exclusively stream their new album Ixora this week, here: http://bit.ly/Ixorapreview. 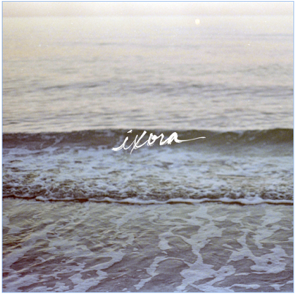 The band will be releasing Ixora this coming Monday, November 24th via Tooth & Nail, the first musical release from the band in over five years. For more information, please visit: www.thecopelandsite.com. Copeland, consisting of Aaron Marsh, Bryan Laurenson, Jonathan Bucklew, and Stephen Laurenson, formed in Lakeland, Florida in 2001. The band’s first album, Beneath Medicine Tree, came out in 2003 on the indie label The Militia Group. The album’s layered melodies, combined with Marsh’s thoughtful, emotive croon, immediately engaged music fans, offering a nuanced take on the emo music of the early ’00s. The group unveiled four subsequent albums between 2005 and 2008, including Eat, Sleep, Repeat on Columbia Records in 2006. Copeland signed with Tooth & Nail in 2008 and have partnered with the label to release their long awaited sixth album, Ixora. The musicians spent much of 2014 working on new music, pulling some tracks from older material they’d set aside — one song, “Like I Want You,” Aaron found in a folder on his computer from 2009 and appears on the new album as a preorder bonus track. Bryan and Stephen spent eight weeks in Florida at Aaron’s studio with Aaron at the helm of the production. “It was like picking up where we left off,” Aaron notes. Ixora also features a few notable contributions, such as guest vocalist Steff Koeppen, who plays in Arizona band Steff and the Articles, singing on several tracks. The final ten-track album was also mixed by Michael Brauer, who has worked with everyone from Bob Dylan to Coldplay, at Electric Lady in New York. The band members have pursued other musical endeavors over the past few years. Aaron built his own studio in Florida and has produced for Anberlin, Anchor & Braille, Person L, and Lauren Mann and the Fairly Odd Folk, as well as working his own hip-hop project called Lulls in Traffic. Bryan, Stephen and Jonathan formed a new band, States, with Lydia singer Mindy White. The idea of making another album has always been in the back of their minds, however. “I feel like we just started to scratch the surface of what our sound was. I felt a sense of incompleteness with our recorded work so that was one of the reasons I wanted to do another record.” Aaron says. Copeland will release Ixora this coming Monday, November 24th, 2014 via Tooth & Nail Records. Stream the full album exclusively on Spotify or pre-order Ixora via iTunes, here: http://bit.ly/1qXTF3w.